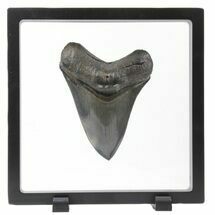 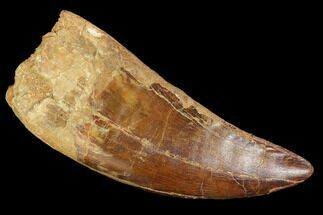 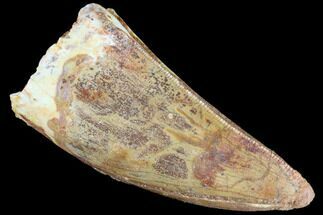 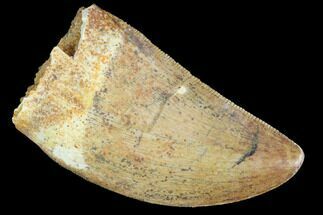 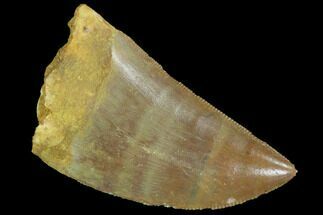 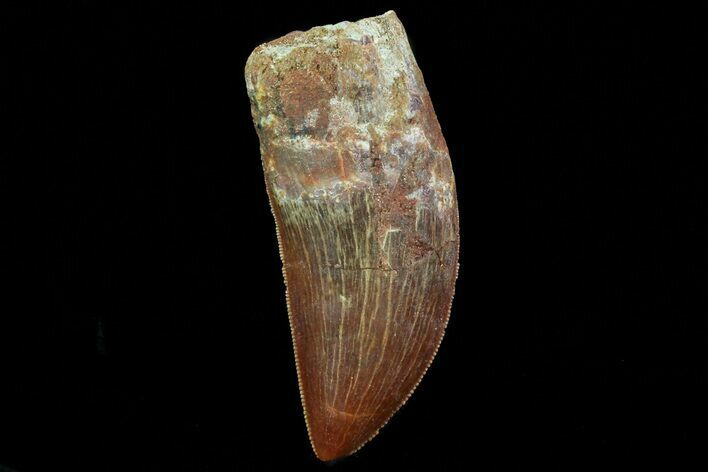 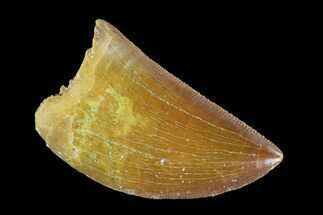 This is a nice, serrated, 1.95" long Carcharodontosaurus tooth from the from the Kem Kem Beds of Morocco. 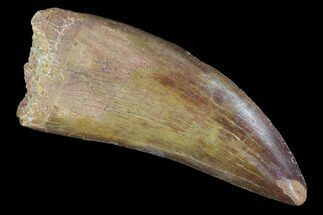 This massive theropod often gets compared to T-Rex but is actually thought to be larger. 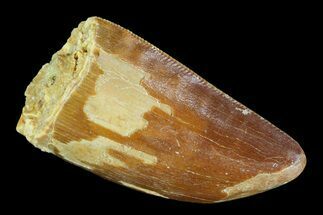 Excellent serrations, enamel preservation and minimal tip wear. 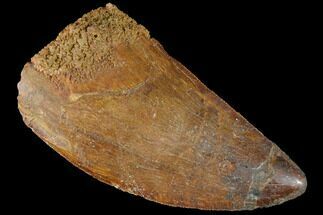 A bit of the root still present. 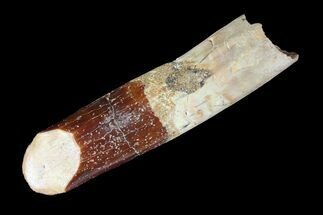 There are a couple repaired cracks and some gap fills in the root area of the tooth.